Ivo Robic und Bert Kaempfert began working together when they made the legendary song Morgen. Following a succès d’estime in Germany, this single was a sensation in the US and earned both artists a Golden Disk. Many co-productions followed. 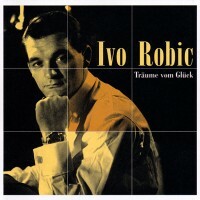 In 1968, there was “Ivo Robic singt Bert-Kaempfert-Erfolge”. The succinct voice of the amiable Croat in conjunction with the distinctive arrangements and the sound of Bert Kaempfert and his Orchestra is a hallmark for all fans. Almost all the songs by this successful team are available on the CD “Träume vom Glück”.